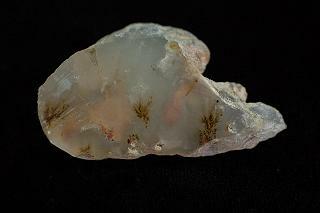 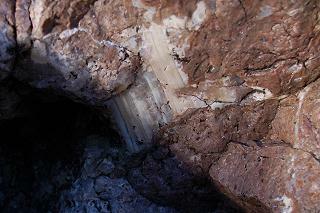 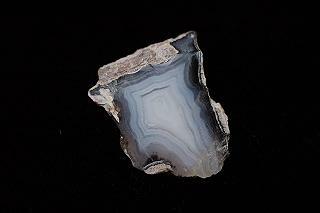 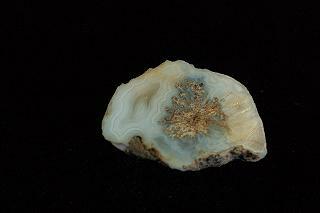 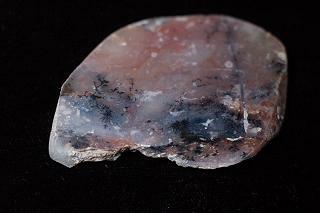 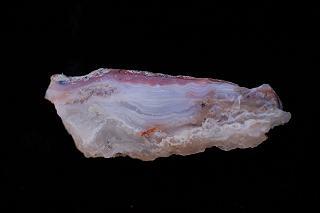 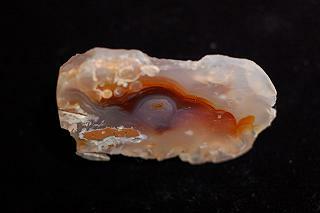 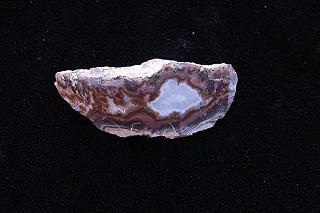 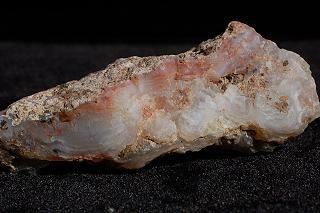 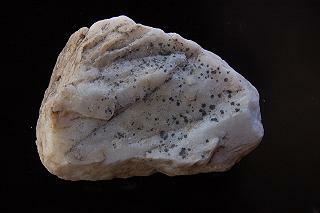 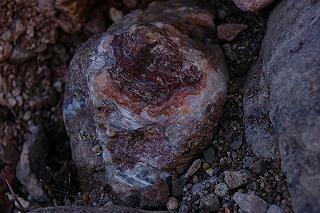 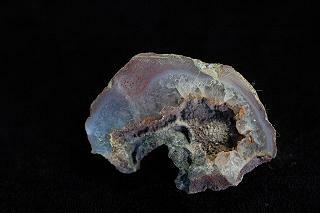 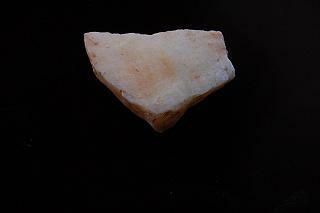 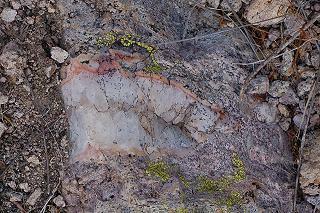 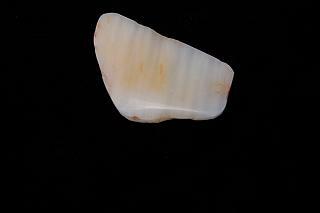 Santa Cruz County Agate "In Situ"
Freeform cabochonLocation: Near Payson AZ. 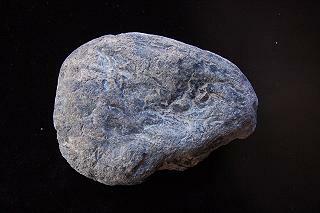 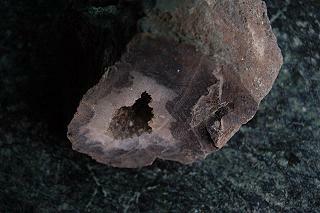 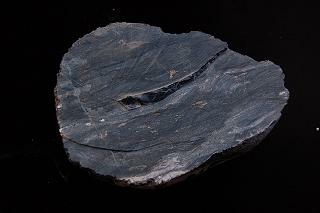 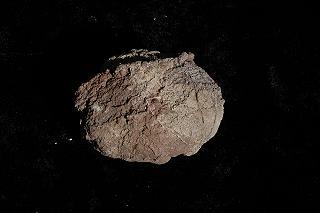 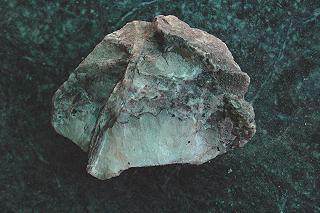 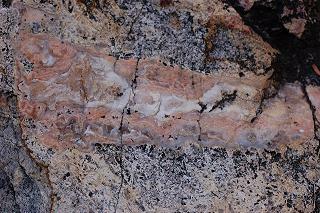 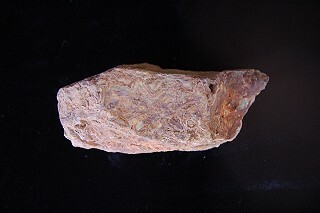 Paleozoic Chert in the Pennsylvanian Naco Limestone. 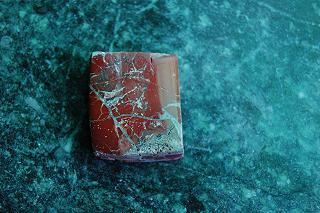 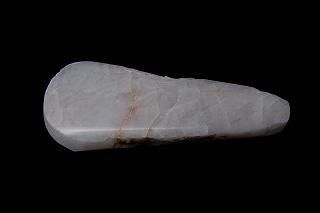 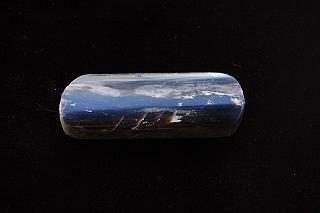 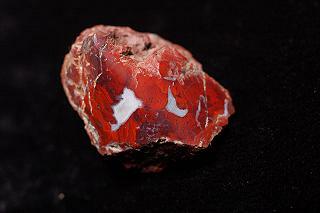 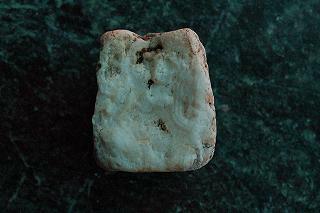 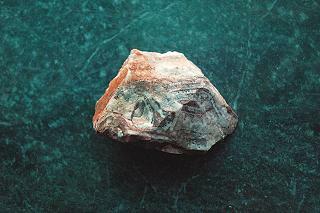 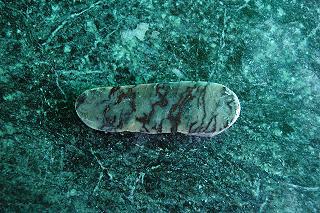 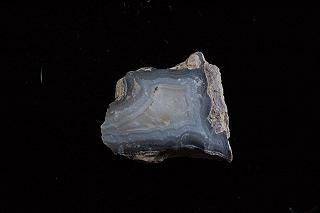 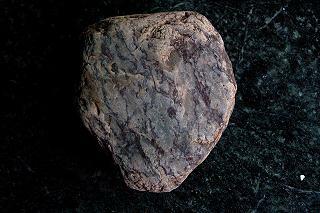 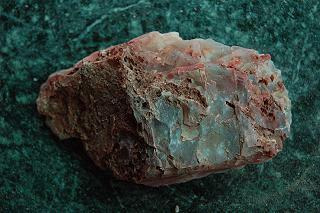 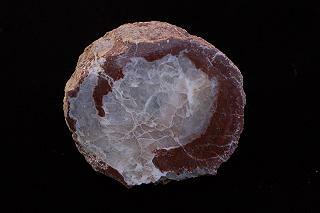 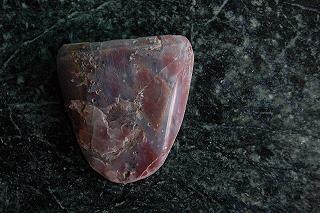 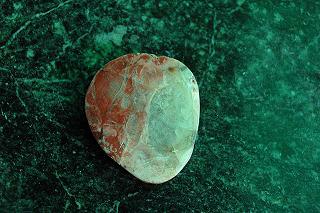 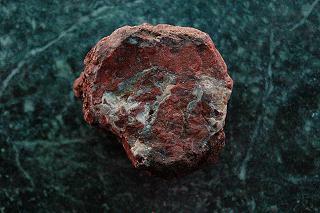 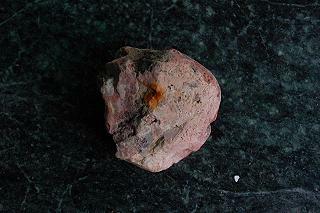 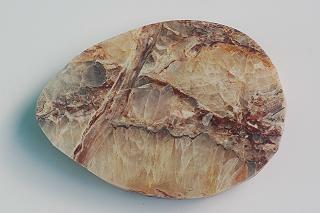 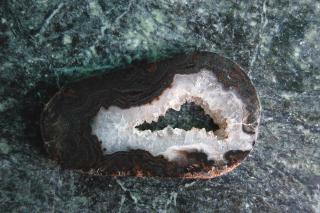 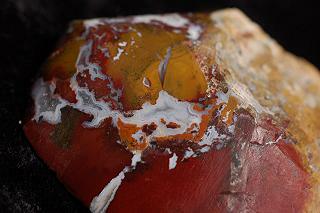 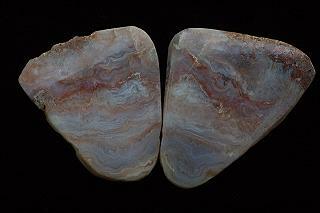 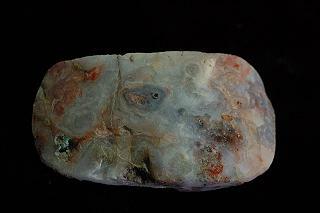 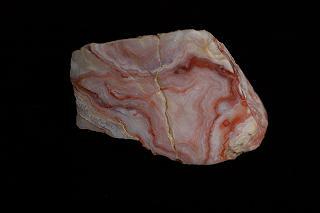 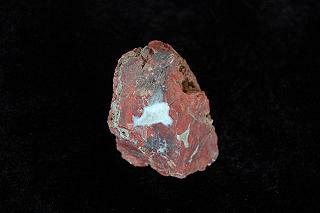 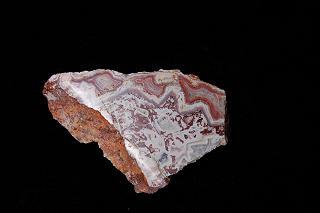 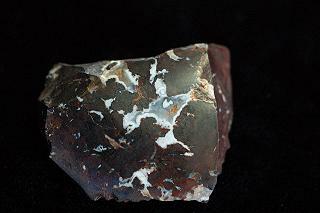 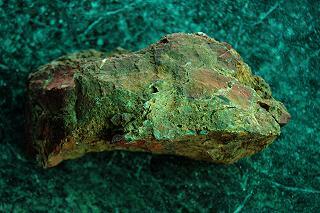 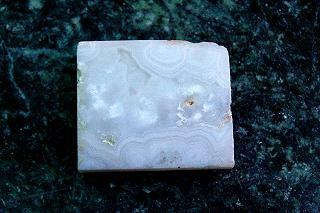 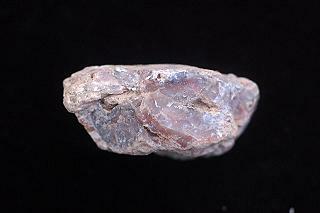 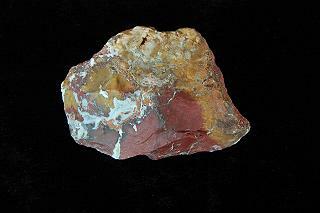 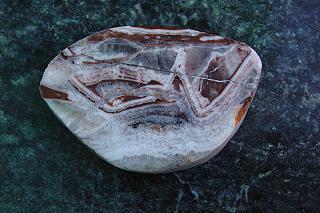 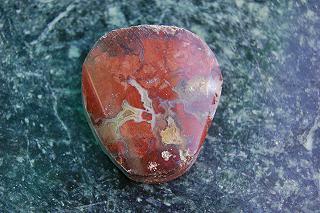 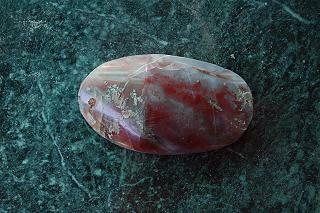 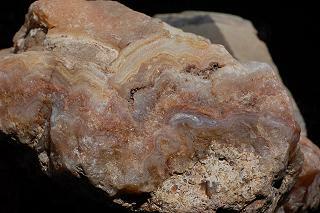 Agate Mountain material is acutally a nicely colored brecciated jasper.